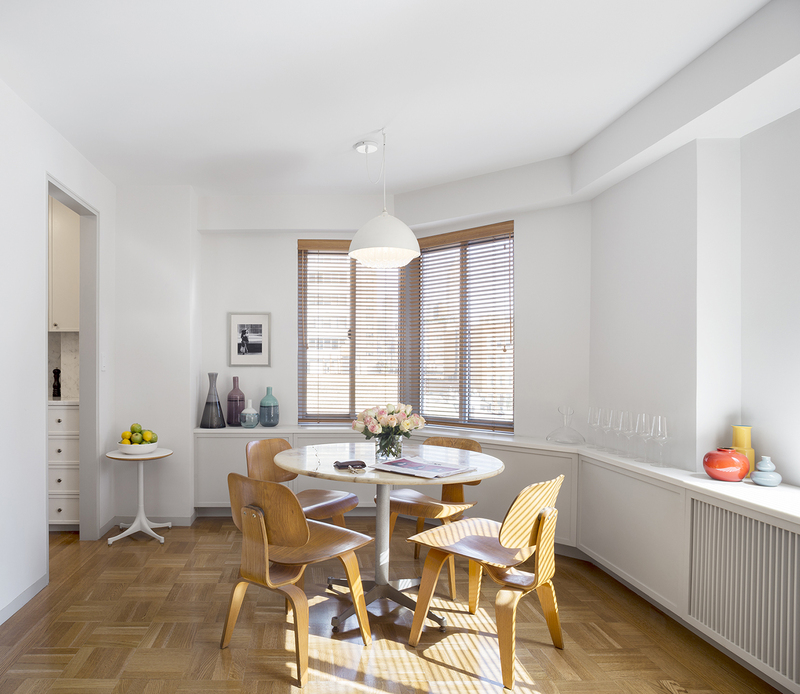 The owner bought this apartment as a guest residence, given its great morning light through generous east-facing windows and views of the Empire State Building. While limited to only one room with a separate kitchen and bathroom, the design strives to create a comfortable, well-sized living and dining room during the day without clutter. At night, a Murphy bed folds down from its cabinetry, effortlessly turning the main room into a bedroom. Walnut paneling within the sleeping niche creates a warm and comfortable backdrop for sleeping. 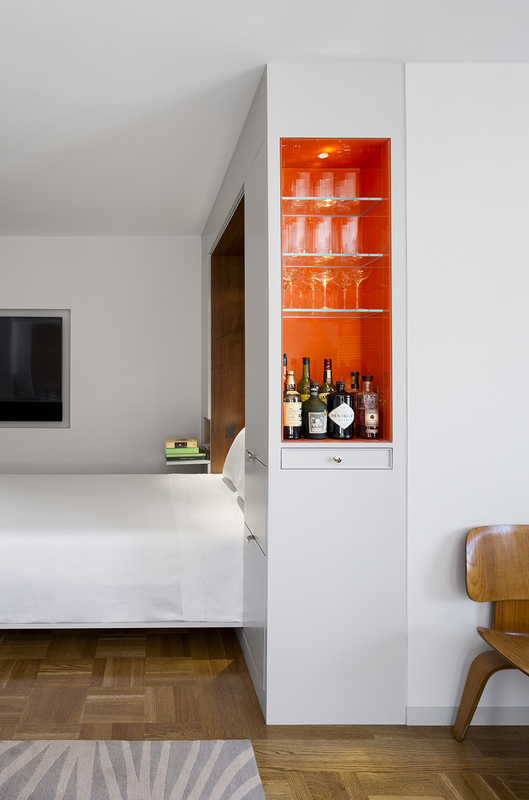 A mini-bar recessed into the bed’s cabinetry is lined with bright orange back-painted glass, creating a pop of color in a neutral backdrop. 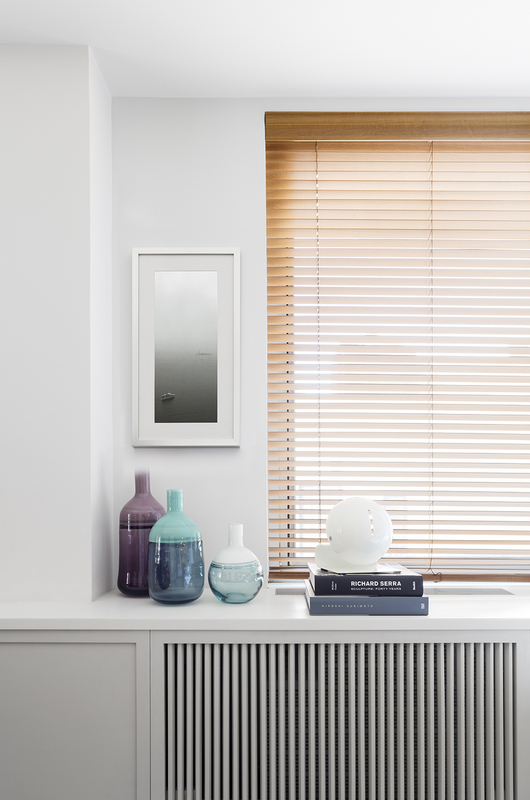 A ribbon of custom cabinetry was installed under the east and north-facing windows to conceal the clutter of radiators, piping and air conditioning, while providing a grand display shelf with storage below. 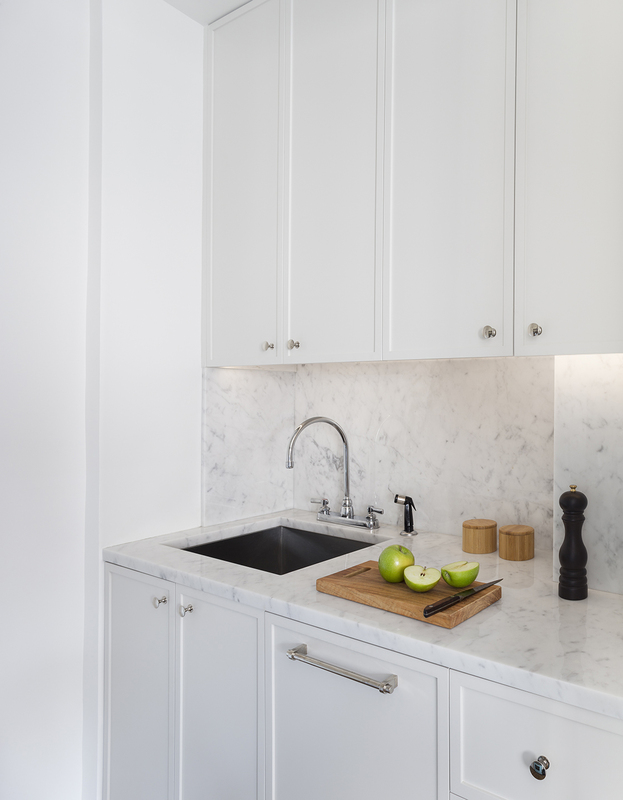 Custom cabinetry with Carrara marble countertops line the efficiency kitchen. 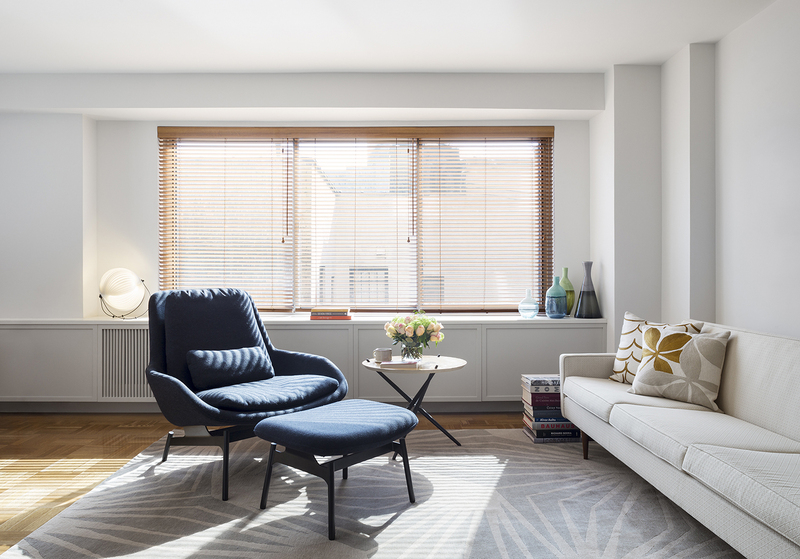 The apartment was furnished with items from the owner’s sizable mid-century furniture collection.